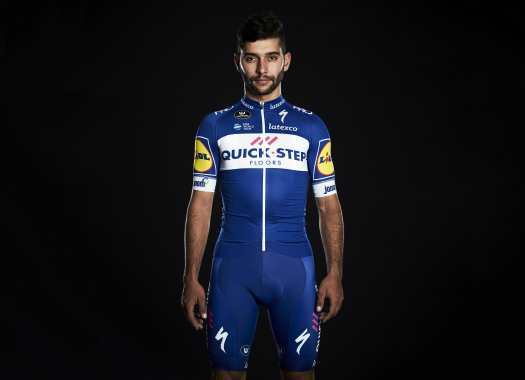 Quick-Step Floors' Fernando Gaviria has taken his second victory at the 2018 Tour de France on a day his team had to take all the control over the speed of the peloton. The rider crossed the finish line ahead of Peter Sagan after Quick-Step Floors had to work hard to catch the escapees, which it could do at the final kilometre. "It was a very difficult victory after a very difficult stage," said the rider at the end of the stage. "We didn't get help from any team to control the escape and it was difficult for us but I think we really wanted to win. All the team did an excellent job to achieve the victory and we are really happy about that." "I would like to thank my entire team to put its trust in me. We are happy because we reached our goal and we have to see how the next days go." The Colombian can't believe this is his second victory at the French grand tour. "It is impossible to say that I thought I was going to take two victories in four stages or that we were prepared for this," the rider affirmed. "But we trained hard and we did everything well to come here at optimal conditions and today we can enjoy another victory." Gaviria also had comments about the rider that took the second place of the day. "We know that Peter (Sagan) is one of the greatest riders of the peloton and I'm happy to compete against him because he makes everything more difficult," he explained. "He makes us train more to achieve his level and be able to fight against him in races like today."